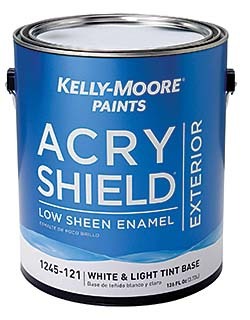 Acry-Shield, the company's premium exterior line, has added a formulation to increase the paint film's durability and resistance to moisture. The line offers primers and finish coats in three sheens — flat, low sheen, and semi-gloss. Product is designed for long-term durability and adhesion, chalk and mildew resistance, and cold-weather application down to 40 degrees. The Green Wise certified, MPI approved coating can be used on all exterior surfaces.